If you decide in the fall that your camping season is over then you will need to look at winterizing your RV. Parking your RV for the winter requires some preventative measures so it will be ready to use next spring. Winterizing your RV is important to make sure that you don’t have costly repair bills due to the damaging results of winter. 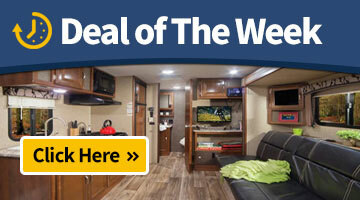 So how do you prepare your RV to make sure it is ready for winter? Why not let the expert RV service technicians at PEI Home & RV Centre service department worry about that for you. Our RV service technicians know the exact steps that need to be taken to make sure your RV is ready for its winter hibernation. We provide services like clearing water lines and draining fluids to make sure winter freezing does not damage your RV. Get some peace of mind when storing your RV this winter and bring it to PEI Home & RV Centre service department to get it winterized. Washer/dryers, ice makers, Mobile Service call at an additional cost. Call 902.566.1440 or email sales@hamblys.ca to book today! Raise the radio / TV antenna Inspect all seams, windows and vents for water damage and reseal if necessary Lubricate all hinges and locks with spray lubricant Test the operation of the hydraulic jacks if applicable.